This is a great article from a mom who loved carrying her baby. She tells us why it worked for her. Avoid lower back discomfort when using your Snuggle Bug. More insights from Steph (Baby Carriers Downunder), “everybody’s ability to bear weight is different. 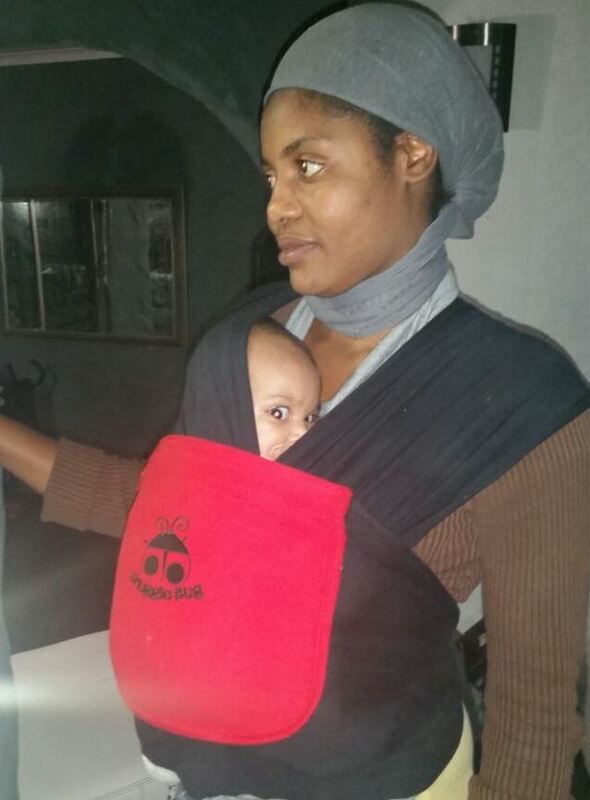 Babywearing in a great carrier distributes the weight well, but always consider your own needs while baby wearing. If your body is telling you enough is enough: listen. Especially after pregnancy when your body is still readjusting, there’s nothing wrong with putting the sling down for awhile and enjoying your baby on the couch. There’s also nothing wrong with exploring the world together with the pram if that’s what your body is telling you. However, pain in the lower back is often a fixable issue. In my experience it can come from two or three particular problems. The first problem is unevenness in the distribution of weight. If you’ve been using a lot of hip/one sided carries, this may cause you some pain if you’ve been at it too long. Either change sides or change to something with a better distribution: or snuggle sitting down if you can. It’s OK to take a break. Lower back pain can also be caused by a front carry that is too low on the wearer’s body. If you’ve ever been pregnant, you’ll remember that 9 months’ pregnant belly everyone told you was so beautiful. It was! But having all that weight out the front of your body and down low commonly causes back pain. It’s the same in baby wearing. Try retieing your carrier higher or a back carry. Remember the baby should be held to you firmly, not loosely or slumped down. A nice smooth curve to the child’s back is what you’re aiming for”. Tayah looks so comfy in there! I found a lovely article about the benefits of baby wearing. Go to: Baby Carriers 101 for more. Inspirational writer, speaker and storyteller, Helen Hansen says, “Plenty of physical closeness is essential for every baby as it supports EQ and, in later years, IQ too. Remember the photos of Rebecca in her Snuggle Bug? Look how big she is now! 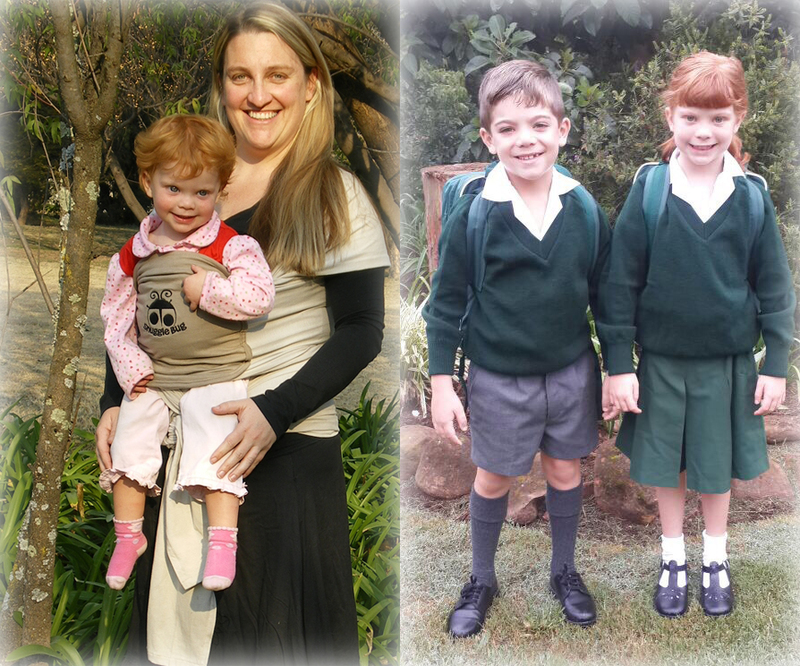 She’s pictured on the right, with her brother Callum, on the first day of big school.